Nowadays, companies face a more competitive environment as a result of globalization, increased competition from cheaper locations and the intrinsic difficulty of differentiation, among other reasons. A key way to become more competitive is through staff training, developing both their knowledge and skills. Traditional training methods face significant problems with regards to attendee motivation and commitment. Incorporating game elements into fields which are foreign to these notions, i.e. gamification, offers companies the opportunity to improve employee attention, motivation and enjoyment, while also enabling better teamwork. To date, gamification has been mainly used to promote healthy lifestyles and market strategies, but at Gamepaths we suggest using it beyond that. Everyone is aware of the motivational power of games. With gamification we use that power and apply it towards solving real-world problems. It must be social: Game users must be able to have new identities, roles and personalised avatars. Achievements must be recognised and shared. The process should also allow users to compete and be rewarded. A well-designed gamification process will allow players to behave in a way which is beneficial for their learning. It must stir up emotions: Gamification must make players feel optimism, pride, satisfaction in overcoming mistakes etc. Neuroeducation, a new discipline in which education, psychology and neuroscience come together, has shown the importance of feelings when learning. 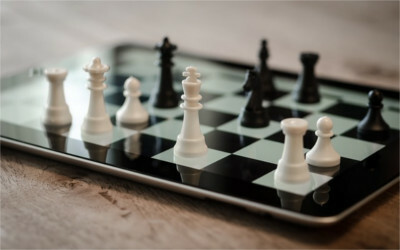 It must work on cognitive abilities: Gamification must provide complex rule systems so users can experiment and discover, guiding players towards knowledge or skill mastery. If we look at learner retention, merely ‘reading’ has proven to be ineffective in helping students remember. What really allows people to improve their learning is ‘doing’. Simulation and gamification are the key tools for this. It can be applied to most training needs: Typical examples in the corporate world are: onboarding processes for new employees, new product introductions, company culture change, process training, awareness raising etc. Increased information retention: When compared with, for instance, reading a document; users can retain more content. Greater commitment: The gamification process uses reward systems which can result in obtaining additional benefits. Teams which use gamification are more committed with the learning process. Improved productivity: By using a reward system, based on course specific activities, participants are encouraged to do a set of tasks in a defined order. Good gamification system design improves team productivity. It is fun: Learners are much more likely to spend more time doing the course with gamification because the learning environment is appealing and fun. Providing a gamified learning experience is an advantage for both the learner and the trainer. Motivation: With an appropriate gamification system people are recognised, entertained and motivated to learn, even when the subject matter seems unattractive. Gamification makes training popular among users. Cost-saving: A gamified learning process based on Gamepaths’s online platforms entails a significant cost saving for the company, when compared with traditional training processes. They developed a game which served as a recruitment tool. Candidates register and download a free multi-player app which tests the strategic skills needed to join the army. It serves a dual purpose: it increases the number of recruits, on the one hand, and allows the army to assess candidates’ knowledge, on the other. Traditional loyalty cards do not use gamification. However, Starbucks, which is well known for seeking to engage employees and clients, implemented a gamified model. After registering, clients earn stars which can be exchanged for free food and drinks. The game has several levels which users reach depending on their degree of loyalty to the brand. It is a perfect marketing tool. Thanks to gamification, Ford implemented a successful skill development program for its sales and spare parts teams, fostering both formal and informal learning, competition between groups, creating missions and visible badges which resulted in recognition within the company. A direct correlation was established between the training action and the key sales and satisfaction indicators. Roadwarrior has been developed to train salespeople through client meeting simulations, during which they earn points and badges. The game is based on levels which unblock technological matters. In addition, salespeople can challenge eachother. There is an additional important point, if we analyse the statistics for the use of the most popular games on mobile devices, we find that the highest number of users is found during working hours, so we know that a percentage of people play while they are working. It would appear to be logical to use this to benefit companies, proposing gamified solutions which improve skill development, performance or modify corporate culture or behaviour, for instance. At Gamepahts we are experts in gamification solutions. Our team of videogame designers, graphic artists, developers, business teams, psychologists and educators work to achieve maximum yield for each gamification experience. We contribute unique user experiences and full information about the training course’s benefits and use.